TUESDAY! No Class on Wednesday! SENIOR SPRING BREAK with Hamlet PHOTOS! How did spring break go? Viewed the logic material from Monty Python and the Holy Grail. Start to work on POSITION PAPER! Read the position paper packet! Click HERE or HERE for a copy. This paper will be due April 28th (the week before AP EXAMS begin). The PPP (position paper planning sheet) will be due on April 19th! Click HERE (pdf) or HERE (Word document) for a copy of the PPP. Start to study for Allusion Test--45 points! (Friday April 23)You have a copy of all the allusions to study; look at the first column only. Click HERE for the list. E-mail Wally lwallenberg@edenpr.org any fun ☼spring break pictures to put on the website after break (appropriate content, of course☺). We'd love pictures of you reading Hamlet and Heart of Darkness on a cruise ship or in front of Senor Frog's or . . .
For tomorrow (Tuesday): Read and take notes on Chapter 20-The Phrase. Do all Exercises-odd items only. Click this link to get the document prepared by Eric Howe to make your life a little easier. Work on POSITION PAPER! Read the position paper packet! Click HERE or HERE for a copy. This paper will be due April 28th (the week before AP EXAMS begin). The PPP (position paper planning sheet) will be due on April 19th! Click HERE (pdf) or HERE (Word document) for a copy of the PPP. (CARPE DIEM!) Do something in the spirit of Carpe Diem! Remember to "Gather ye rosebuds while ye may"
Here's an idea how . . .
Got Hamlet? You need a copy of the Signet Classic Hamlet by Wednesday next week!! It MUST be the Signet Classic. They are available in the school store for $3.50. Serendipity in St. Paul April 8th! Go over some of the phrase sentences you created and take a side trip into a Will Smith lyric. Stamped everything in sight. Logic notes and exercise, persuasion notes and exercise, Wodehouse worksheet, 15 sentences. Keep all of it to hand in later. Start to study for Allusion Test--45 points! (Friday April 23--Shakespeare's birthday)You have a copy of all the allusions to study; look at the first column only. Click HERE for the list. "The Group Poems Assignment"--Read all the poems assigned to each of your other group members (See the colored sheet you got last week listing all your group members and the poems they were assigned. If you do not know which poems each group member had, I have attached the poems. CLICK HERE (OLES POETRY GROUPS). 1. CHOOSE 4 POEMS ! Do NOT choose your own (the one you did for WA11 Assigned Individual Poem). 2. Fill out a response worksheet for each poem (worth 5 points per sheet) using the IVORY WORKSHEETS GIVEN OUT IN CLASS--one per poem. If you were absent, you can click HERE to get the sheets. Decide which poem is your all-time group favorite to perhaps use at a later date for a group poetry project. 3. Finally, answer the bullet-point questions on the pink cover "DEBRIEFING THE 5 POEMS ASSIGNMENT (this is worth 5 points, too.) So, the entire assignment is worth 25 points. FOR SOME HELP, click HERE to read a cool help sheet called "HOW TO EXPLICATE A POEM." Also, check out TONE/MOOD words from exercise pages in the Poetry Packet to help you identify tone/mood words for your worksheets. Click E1, E3, E4 or see these pages in the Poetry packet for TONE/MOOD word. For a pdf. copy of the BLUE POETRY PACKET, click HERE! Got Hamlet? You need a copy of the Signet Classic Hamlet by Wednesday next week! It MUST be the Signet Classic. They are available in the school store for $3.50. Finished reading "The Fiery Wooing of Mordred"
Discussed "Sestina" and "Habit of Perfection"
stamped chapter twenty-one notes and exercises. Collins Advice to Writers" and allusion to Alexander Pope! Maybe show DVD of Billy Collins' "How to Read a Poem" and various experts' opinions on poetry and Collins. POPE ACTIVITY: Pope quotes--each person gets a slip and needs to find groups of 2 or three. 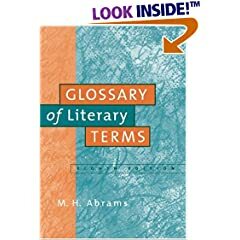 Discuss the meaning, the connections to writing, and any poetic devices that surface. CC #2--Remember to share anything you'd like with a class connection. Make sure the connection is obvious to the teacher. Wallies are encouraged to write their CC#2 to Wallly. However, if you have a burning desire to to direct your CC to Mr. Olson, you may write his name on the top of the CC#2. Start to study for Allusion Test--45 points! (Friday April 23--Shakespeare's b'day! )You have a copy of all the allusions to study; look at the first column only. Click HERE for the list. If you got your lit. theory paper back, buybacks! If buybacks are not turned in on your deadline, they are 1/2 credit the next day and no credit the day after! Read the blue BUYBACK section of the Survival Packet CAREFULLY so you can ask any questions/clear up anything you don't understand about the buyback procedure. For a copy of this blue section, click HERE. If you would like to use a template to do your buybacks, click HERE. (You can cut and paste this into a WORD DOCUMENT and make changes--add more rows or delete categories etc. to make it work for you. Remember to print it out in landscape format!) If you would like to use the ACE template, click HERE. For a STUDENT'S SAMPLE (not perfect, but close!) of what BUYBACKS ARE SUPPOSED TO LOOK LIKE WHEN DONE, CLICK HERE (pdf.verson) or HERE (WORD) version. OPEN MIC POETRY MONDAY NIGHT! April 19th, at the EP LIBRARY at 7:00 p.m.
We're beginning at 7 pm and will provide light refreshments. All attendees are welcome but not required to share a poem (or a few)--ones you've written or favorites you've read. Come to read or just to listen! All readers' names will be entered into a drawing for a Barnes & Noble gift card! Write fifteen clause sentences--five with a noun clause, five with an adverb clause, five with and adjective clause. Check the Wodehouse Phrase/Clause sheet for clauses. How many can you find? HEADS UP: THERE MAY BE A QUIZ ON THE NOVEL TO MAKE SURE YOU READ IT! Find your copy of the novel. Review your active reading/notes you did this summer on Things Fall Apart. Re-familiarize yourself with the novel. Read "Racism in Conrad's Heart of Darkness" Achebe article packet (one side minimum) If you need a copy of the Achebe/Conrad Readings packet, click HERE. Also pick one additional article to read. Be prepared to discuss. EXTRA CREDIT OVER BREAK! BRING HAMLET OR HEART OF DARKNESS ON SPRING BREAK! E-mail Wally lwallenberg@edenpr.org any fun ☼spring break pictures to put on the website after break (appropriate content, of course☺). We'd love pictures of you reading Hamlet and Heart of Darkness on a cruise ship or in front of Senor Frog's or . . .
What would you like to be sure to discuss today? Jot on white board! Finish the AP Multiple choice practice test on Heart of Darkness. Come ready to correct your answers after having your paper stamped. OJ 16: PARODY OR shrink lit. OR any humorous creation baseed on HEART OF DARKNESS. Things Fall Apart for the next one day! Find your copy of the novel. Review your active reading/notes you did this summer on Things Fall Apart. Re-familiarize yourself with the novel. Re-read/skim parts two and three of Heart of Darkness. Write OJ 14 about some issue you notice in either part of the novella. Complete two more sections of the AP practice test on Heart of Darkness. Reread & take notes Heart of Darkness part 3--OJ 17 Reaction and analysis of part 3 Warning! There are two tests next week on Heart of Darkness (probably Wednesday). DUE MONDAY! AP Heart of Darkness MC practice test. Spend no more than 60 minutes. Click HERE for a copy of this test. OJ 18: Heart of Darkness parody Either write a "Shrinklet"-type poem that humorously captures the full sweep of HofD or a parody of Conrad's writing style that develops a hypothetical comic short scene in HofD. NEXT WEEK: Do AP Prompt Writing Activity based on Conrad's "Introduction to Aylemer's Folly." Click HERE if you need a copy. First, paraphrase Conrad's theory of fiction. Second, write AP style essay prompt. Third, write the opening paragraph to an essay answering the prompt. Read & take notes Heart of Darkness part 1--OJ 15 Reaction and analysis of part 1 Warning! There are two tests next week on Heart of Darkness (probably Wednesday). See ABOVE FOR WALLIES/OLES ASSIGNMENT. Peer response to someone else's WA 14 Act 4 topics. NOTE! For a current master list of journals, click HERE to see Wally's current list, and click HERE to see Olson's current list. Take a minimum of one side of Background Notes on the Romantic Era from the black LBT book pp. 565-576.